It totally slipped my mind that i forgot to post a blog about the current cast for the 2017 Power Rangers Movie and it was announced today who will play Rita Repulsa. Any upcoming cast announcements i will update this blog post. Power Rangers Ninja Steel announced for 2017. Today it has official been confirmed that Season 24 of Power Rangers will be titled Power Rangers Ninja Steel airing in 2017 on Nickelodeon, no news on which Sentai it will be adapted from but it’s very likely it will be adapted from Shuriken Sentai Ninninger. The Article confirming the new season comes from IGN via the official Power Rangers Facebook page. Saban’s Power Rangers Ninja Steel starts deep in space, where Zircon is the reigning champion of the most popular intergalactic game show in the universe, and monsters battle to prove who is the mightiest warrior. Zircon is determined to become invincible by controlling the mythical Spirit Crystal, which contains six supernatural Ninja Power Throwing Stars. The only thing standing in his way is a new team of heroic teenage Power Rangers who possess the Spirit Crystal. The evil Zircon sends his warrior contestants down to Earth to steal the Crystal, where each epic battle against the Rangers is broadcast throughout the universe. Together, the Rangers must master their arsenal of Throwing Stars, Zords and Megazords, each made of legendary ninja steel, in order to stop this evil threat and save our planet from destruction. Huge news broke by the Hollywood Reporter that confirmed 2 Writers and a exec producer for the Mighty Morphin Power Rangers Movie Reboot. The upcoming movie being developed by Lionsgate and rights holder Saban Brands will be scripted by X-Men: First Class writers Ashley Miller and Zack Stentz. Orci who recently split with screenwriting partner Alex Kurtzman, has formed a new venture, Sneaky Shark. 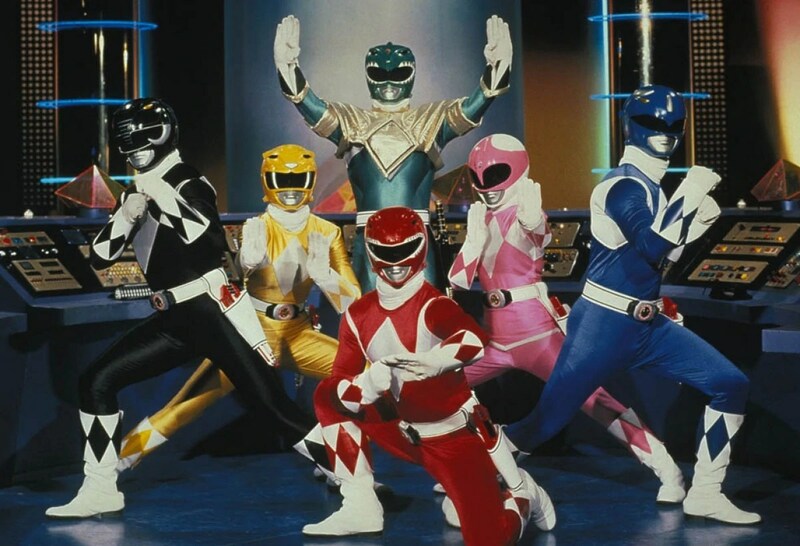 Power Rangers was a ’90s TV series and global marketing franchise, initially called The Mighty Morphin Power Rangers, that used footage from a Japanese children’s show. It first aired on Fox Kids then in the 2000s on Disney-owned channels. A movie also hit theaters in 1995. The new movie promises to completely re-envision the Rangers, a group of high school kids who are infused with unique superpowers but must harness and use those powers as a team if they have any hope of saving the world. Haim Saban, who created the franchise, will produce Power Rangers with Saban Brands’ head of development and production Brian Casentini. Also producing is Allison Shearmur, who oversaw The Hunger Games when she was Lionsgate’s president of production and recently produced Disney’s Cinderella. In addition to First Class, Miller and Stentz have screenwriting credit on Marvel’s Thor and are working on a Terminator TV series. They worked with Orci on Fringe, the cult TV show he created with Kurtzman. Lionsgate Motion Picture Group co-president Erik Feig and executive vp production and development Jim Miller are overseeing Rangers. I never really heard of Ashley, Zack and Roberto but those are some successful movies that they each worked on and it’s good to see that Lionsgate and Saban Brands wants this film to be very successful and as a die-hard Power Ranger fan i’m excited for whats to come in the coming months. Any other info that gets release i’ll keep everyone updated. Shout Factory said via Press Release that their will be a boxset of Power Rangers of the 1st 7 seasons, Mighty Morphin all the way to Lost Galaxy. LOS ANGELES, CA, May 9, 2012 – Following its debut in 1993, Saban’s iconic live-action pop culture series,Power Rangersquickly became the most watched children’s television program in North America. Emphasizing the importance of teamwork, responsibility and helping others by following the adventures of a group of ordinary young people who “morphed” into superheroes, this long-running series has been seen in more than 60 countries, translated into numerous languages, and remains a mainstay in children’s programming blocks. For 19 years, the highly entertaining saga and fan favorite characters fromPower Rangershave captivated children and adults alike, and are beloved by legions of fans worldwide. Now you can return to where the phenomenon began and re-live these thrill-packed adventures when Shout! Factory, in collaboration with Saban Brands, unleashes a cornucopia of home entertainment offerings, many of which have never been released on DVD, from the original seriesPower Rangers. Through unprecedented access to Saban Brands’ vast archive of content, many of these DVD collections produced by Shout! Factory boast extensive bonus materials and collectible packaging, making them must-haves for loyal fans and collectors. The first multi-disc set to be released will be theMighty Morphin Power Rangers: Season One, Volume One3-Dvd set, which will arrive in stores and will be available through select digital entertainment platforms onAugust 21, 2012. Marking the DVD debut of the originalPower Rangersseries,Mighty Morphin Power Rangers: Season One, Volume Onefeatures the first 30 original episodes from the first season and delivers over 10 hours of high-energy, family friendly entertainment. Poised to attract a new audience of kids as well as young adults who grew up with this popular series, this 3-DVD set is priced to own at a suggested retail price of $19.93. Pre-order is now available atAmazon.comandShoutFactory.com. Mighty Morphin Power Rangers: Season One, Volume Two3-DVD set is slated to arrive on store shelvesFall 2012. Featuring the subsequent 30 original episodes, this DVD set continues more action-packed adventures of five teens, who quickly learn the full impact and awesome responsibility of their new powers and weapons. The evil villain, Rita Repulsa and her henchmen prove to be very worthy adversaries for the young super heroes, and they are challenged at every turn. In an effort to provide avid collectors with an exclusive first-to-own experience, fans will have the first opportunity to collect upcoming box sets through a Time Life direct-response television and online campaign. Shout! Factory has teamed up with Time Life to makeMighty Morphin Power Rangers Season One6-DVD set and the 40-DVD collection ofPower Rangers: Seasons One – Sevendirectly available to fans startingJuly 30, 2012through Time Life’s direct-response on-air TV campaign, as well as online. The Power Rangers: Seasons One -Seven40-DVD collection will include: All 145 original episodes fromMighty Morphin Power Rangers: Seasons One, Two and Three, plus the ten-episode seriesMighty Morphin Power Rangers: Alien Rangers. It then continues on withPower Rangers: Seasons Four – Seven, featuring all of the original 183 episodes spanning the seasons entitledPower Rangers Zeo, Power Rangers Turbo, Power Rangers In SpaceandPower Rangers Lost Galaxy. In-depth bonus content includes: a retrospective featurette on theMighty Morphin Power Rangersphenomenon, brand-new interviews with members of the cast and the creative team, and much more! As excitement builds for these anticipated home entertainment releases, Shout! Factory, Saban Brands, and Time Life will announce additional news and activities for fans in the upcoming months. Meanwhile, fans will have the opportunity to learn more about upcoming collections by following us onFacebookand Twitter (@shoutfactory). Join the excitement and relive the action on DVDs! NOTE from TVShowsOnDVD:Details, pricing, package art and pre-order listings for the “Season 1, Part 2” set, the “Complete 1st Season” set, and the “Seasons 1-7” forty-disc set aren’t available yet, but stay tuned for updates! according to Brian Ward DVD/Blu-ray producer for Shout! Factory the Bonus content is EXCLUSIVE to the 2 big sets being offered. Nothing on the smaller, casual sets. The big ones are for the fans. 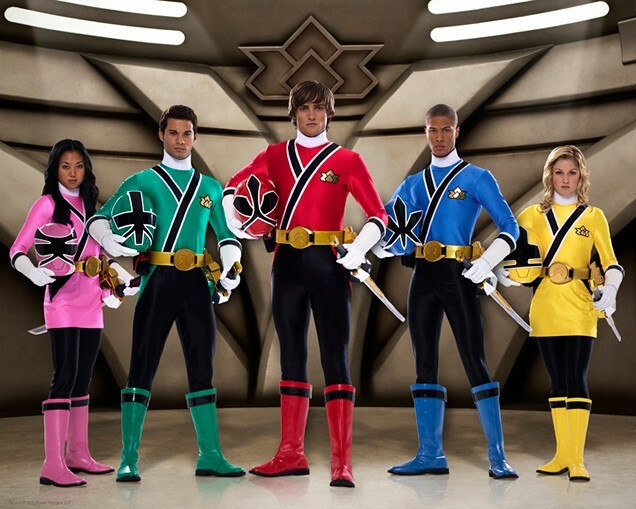 Tonight Power Rangers Samurai Premieres. Power Rangers Fans Tonight is the Season premiere of the 19th Season of Power Rangers Called Power Rangers Samurai. It will debut on Nick/NickHD at 8/7c PM the Episode is called The Team Unites. After the 1st Episode it will move to Sundays at Noon. When a Nighlok who uses insults as a physical weapon to attack the Rangers, only Emily is unaffected. To help her teammates, she explains how difficult events in life become an opportunity to grow stronger. Bulk returns to Power Rangers & Tons of Samurai updates. News broke on Monday afternoon by IGN that Paul Schrier best known for Bulk on Mighty Morphin Power Rangers, Power Rangers Zeo, Power Rangers Turbo, Power Rangers In Space & Power Rangers Lost Galaxy will be returning to Power Rangers & will appear in the 1st Episode this coming Monday. Exclusive: Which Mighty Morphin’ actor is back for Power Rangers: Samurai? When Power Rangers: Samurai premieres on Nickelodeon next week, a very familiar face to longtime Power Rangers fans will be present – someone who was there for the very first episodes of Mighty Morphin Power Rangers back in 1993. That person is Paul Schrier, who will be reprising his role as Bulk on Power Rangers: Samurai. Schrier was a longtime cast member of the franchise, appearing in both the Power Rangers feature films and throughout the first several seasons and incarnations of the TV series. Schrier last played Bulk in 2002, when he made a guest appearance on Power Rangers: Wild Force. In addition, Schrier directed episodes of Mighty Morphin Power Rangers, Power Rangers: Lost Galaxy and Power Rangers: Turbo. Schrier will appear in the premiere episode of Samurai — airing on Monday, February 7th at 8pm on Nickelodeon — and then make guest appearances throughout the series. Check out our exclusive clip of Schrier on Power Rangers: Samurai, which proves that 18 years later, Bulk is still, well, Bulk. The Video includes Bulk & Spike Skull’s Son yes you heard me right Skull’s Son. Back in May, the news came out that the long-running Power Rangers franchise was making the leap from Disney to Nickelodeon after the entity was bought back by original owner Haim Saban of Saban Brands. Well, now the new reboot of the series is coming to delightful consumer fruition, with the Power Rangers Samurai — the series 19th season! — launching soon, on Monday, Feb. 7, on Nickelodeon. As a run up to that premiere, EW has obtained an exclusive sneak peek at the intro to the new series, which explains some of the mythology behind this new generation of samurai warriors. Soon the PR Samurai site on Nick should be updated with more stuff including a Villain Flipbook. Well-meaning, but a bit of a dolt, Bulk has big delusions of grandeur that don’t often translate to real life. Fancying himself a Samurai, Bulk is determined to shape Spike, the son of his lifelong best friend Skull, into a true Samurai warrior like himself. These efforts often end in comical disaster, as Bulk has no idea what he’s doing, and in the face of danger he often runs in the other direction. The hapless son of Skull has inherited his father’s clumsy tendencies and his snorting laughter, but that doesn’t stop him in his earnest quest to become a Samurai. Though he tries to have courage, Spike is ill-prepared for the dangers that come with being a Samurai and is essentially just a clumsy civilian with a serious crush on the Pink Ranger. Saban’s Power Rangers Youtube Channel has a interview with Paul Schrier who plays Bulk. Just as the Power Rangers work together to solve a different challenge in every episode, the Power Rangers emPOWER Movement will provide parents and kids the tools they need to work together to grow healthy kids and support healthy communities. EmPOWER inspires participation in schools, online and in local communities to demonstrate the Power Rangers values in action: teamwork, confidence, health and physical activity, friendship and caring. emPOWER will launch with a focus on health and physical fitness in February, 2011. The emPOWER Movement is positive and fun, emphasizing kids’ strengths and potential, and providing kids and parents with accessible resources. Tip: Try and get at least 60 minutes of play time or exercise throughout each day and work up a sweat when doing it. Try dancing, playing ball, mowing the lawn, or bicycling to start. You don’t have to do all 60 minutes at once, feel free to break it up throughout your day. Every week the emPOWER website will feature a young person who’s making a difference in their family, school, or community. Nominated by parents on the emPOWER facebook page, we’ll feature the Ranger of the Week’s photo and story to inspire kids, parents, and teachers about how kids are making a difference. During January and February 2011, Gym Class Kits including Fitness guides and bulletin board messaging are being delivered to more than 4500 participating U.S. elementary schools. The guides include group activities focused on Power Rangers values and physical fitness, designed for Kindergarten – 3rd grade students. Each participating school is entered for a chance to win: a visit from the Samurai Power Rangers and a $10,000 donation to their physical education program. Monday February 7th on Nick/NickHD Power Rangers Samurai Episode 1 begins at 8PM & it moves to Noon on Sundays. Season Premieres Monday 2/7/2011 at 8:00pmon Nick then moves to Sundays at Noon. No word on when Reruns of past Power Rangers Episodes Airs on Nicktoons. Included in there is the other pertinent part of the information. The Feb. 7 at 8:00 premiere is a ONE-TIME ONLY time slot. The regular time for PRS will be SUNDAYS at Noon Eastern (11 am Central, 10 am Mountain and Noon Pacific with the West Coast feed). There will be a Saturday repeat at the same times. Also, Nicktoons will have an hour’s worth of repeats on Friday nights at 8:00. The Saturday slot starts Feb. 12 with a rerun of the first episode, then the second and third episodes will premiere on the following Sundays (Feb. 13 and 20). We still don’t have a peep as to when PR — current or previous — will show up on Nicktoons. No Synopsis has been release for Episodes 5 & 6 of Power Rangers Samurai. 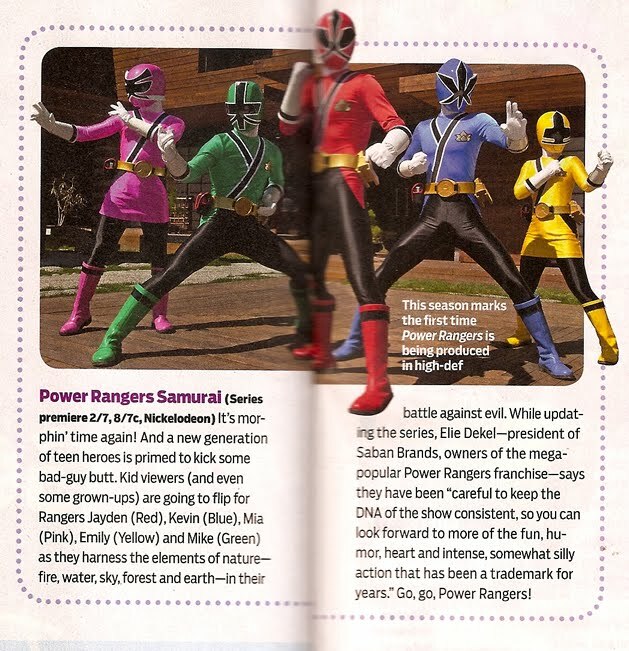 Power Rangers Samurai Air date confirmed & Power Rangers Youtube Channel created. On Saturday Jan 1 New Years day a Promo for the Airdate was shown on Nicktoons but not Nick with a airdate of February 7th 8pm on Nick. Heres the Video that i uploaded Saturday morning about the Power Rangers Samurai Airdate first shown on Nicktoons. but a few days later a post by @Nick&More on Twitter Looks like Nicktoons has pulled the Power Rangers Samurai promo with the premiere date on it. It’s now back to the “early 2011” one. Thanks goes to Dark Blaze on Henshin Justice Unlimited Forums for posting the Banner pic on the forums.